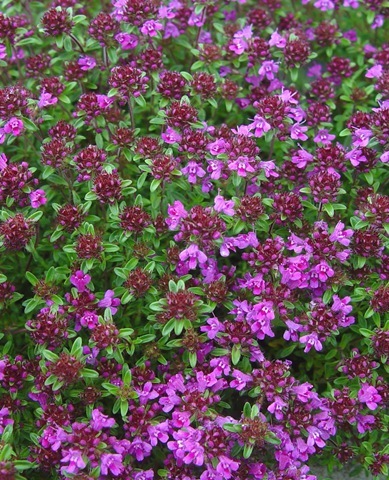 Red Creeping Thyme (Thymus praecox ‘Coccineus’) has soft aromatic foliage that is covered with bright, reddish pink flowers in spring and early summer. The blooms then fade to light pink throughout the summer. 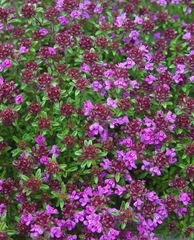 Red Creeping Thyme’s deep green foliage gives way to bronze as weather turns cold. Red Thyme is a very versatile perennial that will cover dry slopes, creep around roses or work perfectly as a lawn substitute. Thyme is deer resistant and very drought tolerant.